This is, of course, my 10 year old sons favorite place! I must admit that my husband and I have just as much fun here! So much fun, in fact, that it has become a go-to place when we are craving some active family time, or just need to get some energy out. 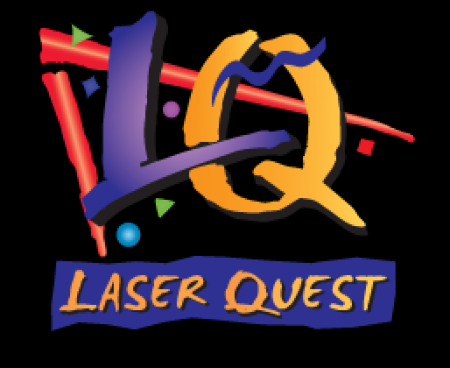 Laser Quest may be the next "it" location for birthday parties in our family! The staff at Laser Quest was welcoming yet effective at juggling the many birthday parties on a Saturday afternoon rolling along. Our daughter's group had to wait a while before beginning its laser games, so each child was kept busy with arcade game play, much to our little competitor's delight. Once time to get to shooting, each player was able to register an alias — each child has a vest on, registering a hit, and those outside of the laser game room can see which players are scoring high. Then, players head into the 'Debriefing Room' where play instruction is given. We appreciated that two games were part of the birthday package deal: the first game allowed for the players to become familiarized with their equipment, the course, and strategy; the second game allowed for an all-out war! * As a cautious parent, Miss Birdie was a little nervous throwing her petite laser-armed child in a dark room with other larger, more rambunctious pre-teens. No injuries were sustained, so worry Miss Birdie should not. * There were party guests under the age of 6 as a part of our group. The youngest of the children were apprehensive of even walking in through the hulking 'Debriefing Room' door, let alone remaining in the darkened, black-light only laser tag room. My 6yr old daughter and I went to a birthday party today and we had a blast. The staff at Laser Quest are awesome.